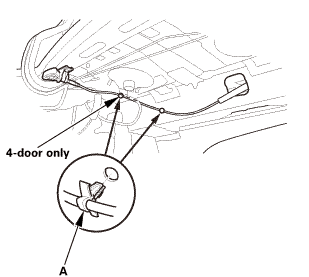 Disconnect the rear seat-back release cable (A). 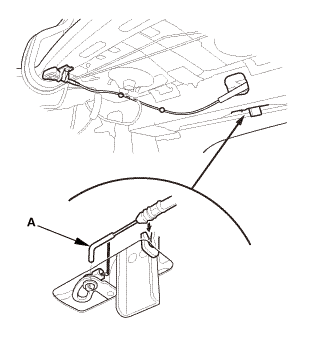 Detach the cable clips (A). 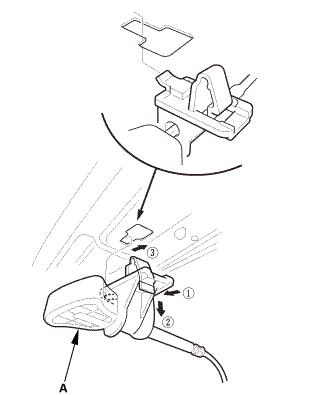 Remove the rear seat-back release lever (A). Install the rear seat-back release lever (A). Install the cable clips (A). Connect the seat-back release cable (A).